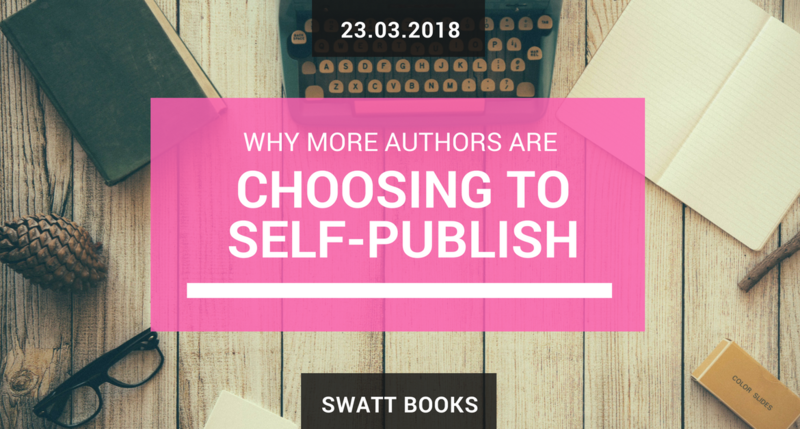 It’s no secret that more and more authors, even those who have been traditionally published in the past, are now choosing to self‐publish. But why? What is all the hype about? Well, here is my take on the 9 reasons why so many authors are going indie. This is the obvious one and the reason you will see bantered around the most. But how much higher is ‘higher’? 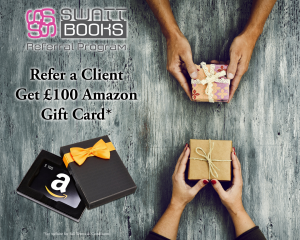 If you are lucky enough to get a book deal from a traditional publisher, and if you have a very good literary agent who is a star negotiator, you can get an advance of a couple of grand and between 7–10% of each book sold depending on your fan base and the ‘clout’ you bring to the table. 15–20% royalty is not unheard of, however those sorts of rates are usually reserved for the JK Rowling’s, Steven King’s, and James Peterson’s of this world. Compare that with self‐publishing where you can expect to earn between 50–70% f your cover price depending on the wholesale discount you offer. This does however require you to do your homework into setting a cover price that covers you production costs, with enough margin built in for both you and the bookseller whilst still remaining competitive. This is another popular reason that you will hear a lot. When you sign a book deal with a traditional publisher you are basically signing over the rights to your book. If during the editing process the in‐house editor that the publisher has hired suggest changes to the book that you don’t agree with – tough luck. You can argue your case, but at the end of the day it is the publishers’ call. Same with cover design; the publisher may ask for your input, but as they are footing the bill for the designer they have final say. They will always opt for what is going to sell the most number of copies, which may not always be what is best for the book. With self‐publishing, yes you pay for the editor and designer out of your pocket, however it will be a much more collaborative process because YOU are the paying client. Your opinion and what you want matters. Obviously you want to acknowledge that they are professionals and you are hiring them for their expertise, but you are more involved in the entire process. This is also a fairly common reason to self‐publish, but one that is strangely not talked about as often. The entire process of getting traditionally published takes a really long time, and you need to have the patience of a saint! Once you’ve written your book, you first have to find an agent. Then you need to go through the arduous process of pitching to publishers and waiting for the inevitable stream of rejection letters until a publisher finally decides to give you a chance. Only then can the actual editing and production process even start, but you are likely not the only author that publisher is managing at the time so your book has to be slotted into a conveyer belt of other books running through a machine with lots of moving parts where any delay to any book in the chain can have a knock on effect all the way down the line! Consider yourself lucky if your book sees the light of day within a year. Contrast that with self‐publishing, where you can realistically expect to go from manuscript to on‐sale in about 4–5 months. You can condense that timetable down a bit if you are prepared to shop around for editors and designers who can work to your schedule, but make sure you give them enough time to do their job properly. Being quicker to market is especially beneficial to business authors looking to publish their books in conjunction with an event, as the timescale to put on a professional event like a conference or trade show is about the same time as self‐publishing. This is an aspect of publishing that doesn’t get talked about anywhere near as much as it should. Traditional publishing is a numbers game. Even if you approach a publisher who specialises in books for a particular niche, the first question they are going to ask themselves when evaluating your book proposal is “how many people will buy this book?” If the answer isn’t at least five figures, they most likely won’t give your book any more consideration. They are in the business of selling books, and generally don’t really care about whether your story “needs” to be told. Because self‐publishing has no gate‐keepers, if you want to write about collecting pink fluffy unicorns, and you know that there are other people out there who also collect pink fluffy unicorns, then what you have to say has value. The only gatekeeper is you and your ability to reach that ultra‐niche of readers. That is why knowing your market and having a marketing plan in place to get in front of them is so important if you are going to self‐publish. Lets face it; at some point in every author’s journey you are going to be racked with feelings of doubt. The dreaded question “is my writing good enough?” has woken up even the most successful authors at 2am somewhere along the way. So why would you want to bombard yourself with more doubt and negativity from the outside world? But that is exactly what you will face when you embark on finding a traditional publisher. You will need to face dozens of rejection letters until you find a publisher willing to give you a shot. Even JK Rowling had the first Harry Potter book rejected 12 times before Bloomsbury signed it for an advance of just £1,500. However, if you self‐publish, the only opinions you need to worry about are the ones that matters most – yours and that of your readers. As long as you think like a publisher and invest in professional editing, peer review, and that the time to do your research, your book will be judged by what you have to say, and not how you say it. Very few authors take into consideration the length of time that their book will be tied to a traditional publisher when first looking to get a book deal. When you take into account how much of your book you are signing away, it’s a very important factor to consider. It’s not uncommon for publishing contracts to remain in effect for the life of the author plus the term of the copyright (which is 70 years in most territories). That means that your heirs will potentially be tied to that contract too! With self‐publishing, as long as you purchase the ISBN numbers used in the publishing of your book in your own name, you don’t have any of that to worry about. ISBN numbers do not expire and are not transferrable to anther publication. So once you have registered a book against an ISBN number with the governing ISBN agency for your territory, your book is yours to do with as you wish for the term of the copyright. After which you (or your heirs) can request to extend if necessary. A secret fact about being an author that no one tells you about is that a book is never finished! Even if you are fortunate enough not to discover a typo staring you in the face when you open your freshly printed book for the first time, there are always improvements and changes to be made. Maybe your book hits the bestseller list; or you won a prestigious prize that you want to proudly emblazon on your front cover. Or maybe new information has come to light or you have changed your opinion of a particular topic in your book that you want to update. If you are tied to a traditional publisher for that book, you have to go through all the red tape and argue your case for why the book needs an update. Should you win the battle and the publisher agrees with you, queue the start of the production process all over again. On the other hand if you self‐publish that book, you or your designer simply makes the amendments and resubmits the artwork. If the case of a full‐on second edition, you just assign a new set of ISBN numbers out of the batch you purchased and repeat the listing process. It’s common knowledge that the self‐publishing segment of the book market is growing year on year, and has been for the past decade. But what you may not know is that we are reaching a tipping point in the market share of self‐published books vs. those published by the “Big 5” publishing houses such as Penguin and Random House. In some particular market segments, that market share has already tipped into self-publishing’s’ favour. According to the January 2018 report by AuthorEarnings.com, the market share for self‐published eBooks in the United States exceeded those from the Big 5 publishing houses 45.7% vs. 25.6%. Overall sales growth of self‐published books also increased more then it did for traditionally published books. Self‐published sales figures increased 2.1% in the last nine months of 2017 compared to the 1.1% sales growth seen in traditional publishing. If after reading everything up to this point you will want to get a traditional publishing deal, then work the system in your favour! 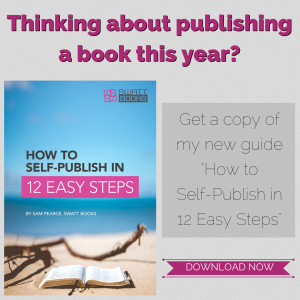 In recent years, traditional publishers have gotten wise to the potential of self‐publishing. Publishing houses now scout the bestseller lists looking for indie authors with the next big thing. When they find it, they can approach the author direct, safe in the knowledge that the book has already proven itself. “Wool”, “Fifty Shades of Grey” or “The Martian” ring any bells? This odd role reversal then puts you firmly in the drivers seat when it comes to negotiating the best terms for your publishing contract. You have something that the publisher wants; just make sure you are smart about what you ask for in return and always, always, ALWAYS have a contracts lawyer review any agreement before you sign on the dotted line. There is one last point that I want to leave you to consider when you’re deciding whether to self‐publish or not, and that is this… The average reader doesn’t care who the publisher is!!! If you were to ask a Game of Thrones fan who George RR Martin’s publisher is, they most likely wouldn’t know. Even I had to look up that it was Harper/Voyager when writing this article, and I’ve read the series umpteen million times! All the reader really cares about is if the book they are investing time and money to read is worth that investment. Is it well written? Is it easy to read? Is it entertaining or imparting some level of value of knowledge? That is all that really matters.